The mass of Ceres is around one third of the mass of the whole objects in the asteroid belt. This dwarf planet is composed of ice and rock. The magnitude of Ceres from earth is around 6.7 to 9.3. It is not easy to spot Ceres using naked eyes because it is very dim. But people can spot it if the sky is dark. On 1st January 1801, Giuseppe Piazzi discovered Ceres as the first asteroid at Palermo. 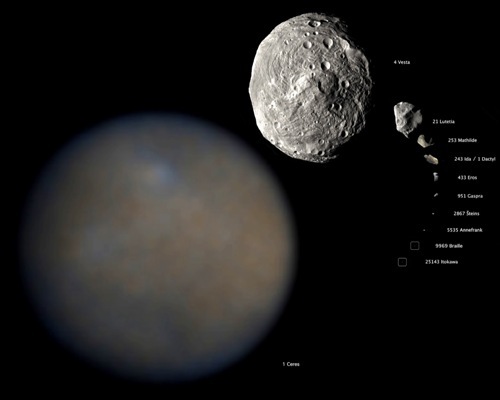 In 1850s, Ceres was called an asteroid even though actually it was recognized as a planet for the first time. Under the layer of ice, the experts believe that it has internal ocean of liquid water. 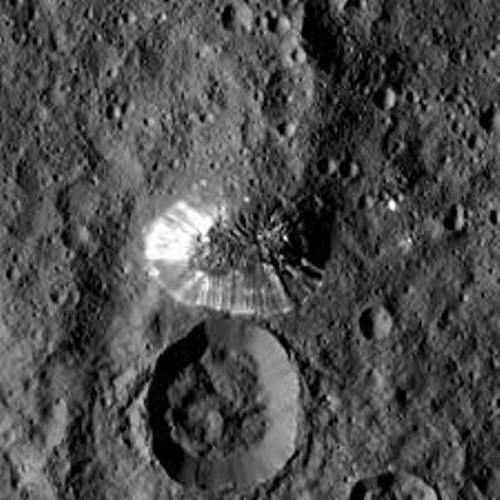 The top surface of Ceres might be the combination of hydrated minerals and water ice. The minerals can be clay and carbonates. One of the unexpected conditions in Ceres was spotted in January 2014 where some areas in Ceres experienced the water vapor. Most large bodies found in asteroid belts do not experience water vapor. 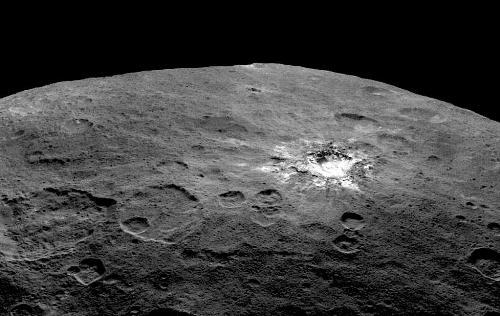 On 6th March 2015, the orbit of Ceres was explored by the robotic NASA spacecraft Dawn. It took several pictures which depicted the cratered surface on Ceres. The true color portrait of Ceres was finally released by NASA in October 2015. Find out facts about black dwarf stars here. The discoverer of Ceres proposed the name Cerere Ferdinandea. It was taken from the name of King Ferdinand of Sicily and Roman goddess of agriculture, Ceres. The name Ferdinandea was not accepted. Then it was called Ceres. The surface of Ceres is warm. 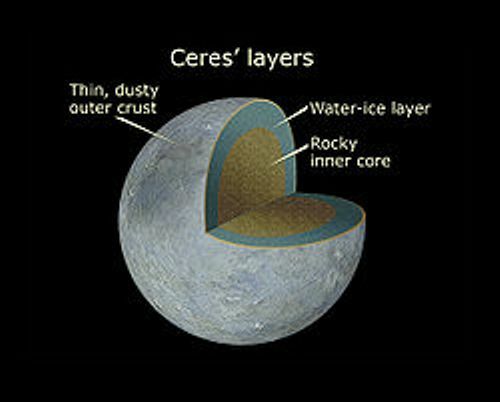 On 5 May 1991, the temperature of Ceres was around 235 K. Get facts about Celestial Bodies here. The mass of Ceres is around 9.39×1020 kg. The size of the surface area of Ceres is almost similar with the surface area of Argentina or India. 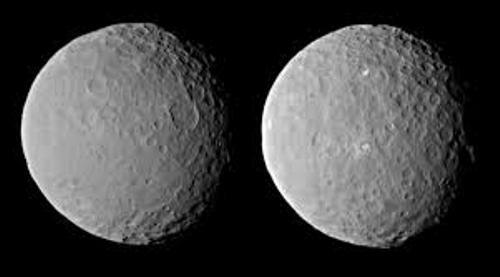 Do you enjoy reading facts about Ceres?